Which generator is the right one for me? To answer this question we gathered the most important differences and features here. 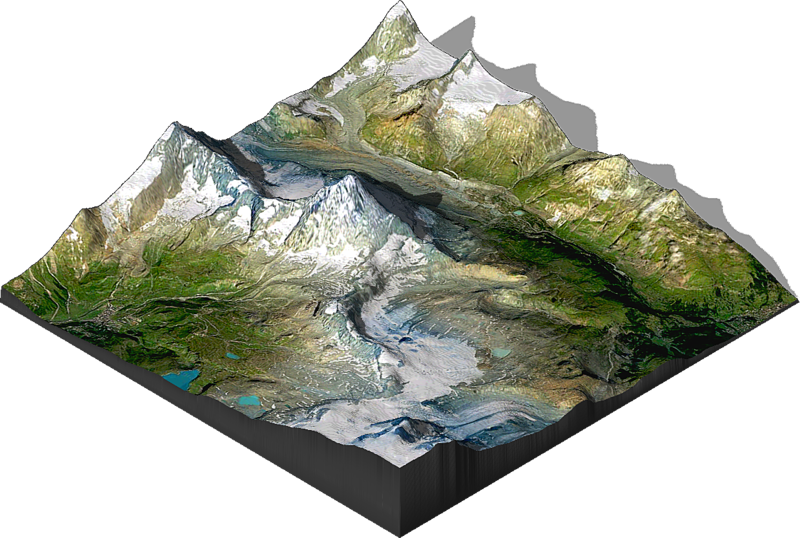 The generated result from a heightmap in ATLAS is a real 3D model. This 3D model is editable in height and size at any time. Height, size and position of the map are independent and unlimited. It can be rotated in any position. As presets there are 8 different orientations available. The surface texture and the light can be edited at any time. The 3D map is printable. 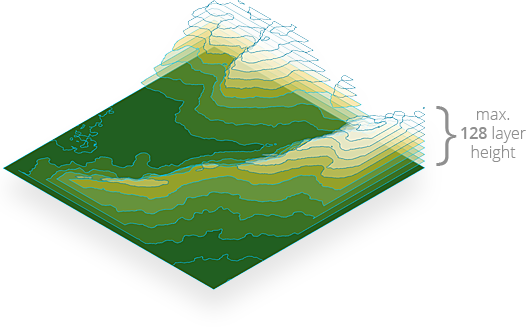 The generated result from a heightmap in TERRAIN is an image of a 3D map. It consists of max. 128 stacked layers. That’s why the height of the 3D map is limited to 128 px. Before starting to generate, it must be determined in which of the 3 isometric orientations the result should be and which of the 5 different scale factors it should have. The surface texture and the light can be edited at any time. The map is not printable in 3D. 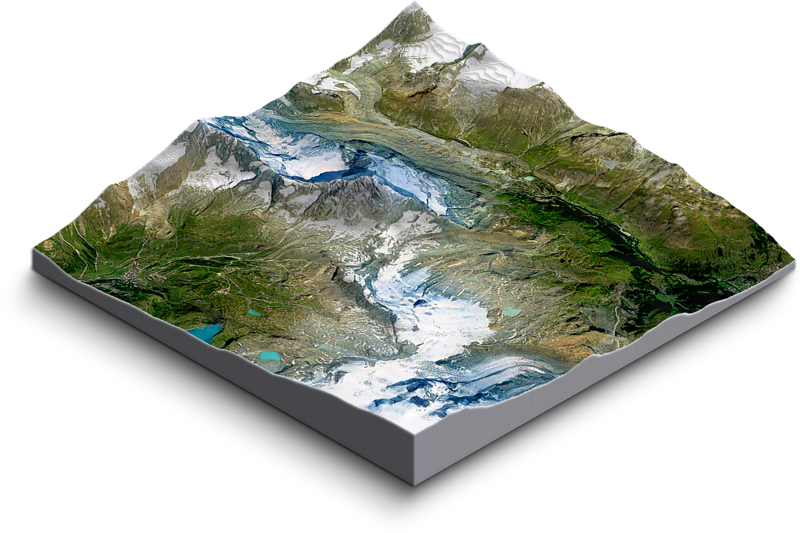 The image of the 3D map can be saved in all common Photoshop file formats such as PSD, TIFF, PNG, PDF, JPG, GIF and others. 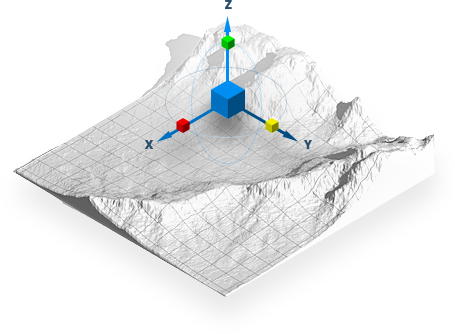 The 3D map can not be exported as a 3D file format. This list only shows those features that are missing in at least one version.